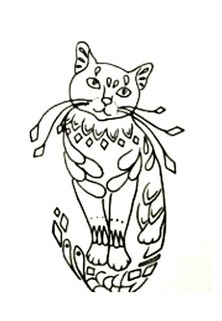 It's time again for our Tattoos for Rescues Fundraiser to raise money for Sparkle Cat Rescue! ​Book your appointment to get a tattoo from artist, Annie Bella beginning November 1 and ending November 30, 2017. 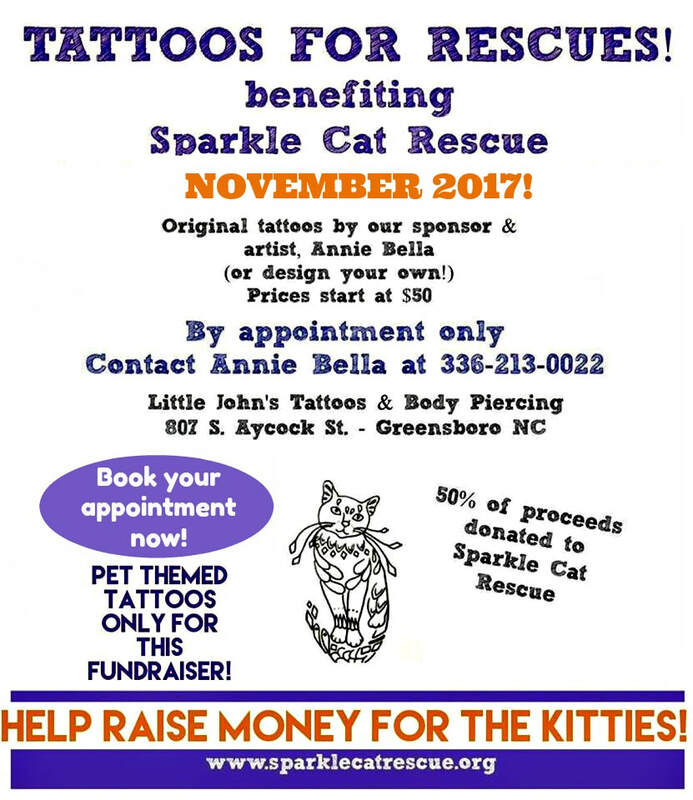 ​For this fundraiser, you can choose to get a tattoo of any animal with 50% of the proceeds benefiting Sparkle Cat Rescue! $50 minimum. A very big thank you to the artist, Annie Bella for donating her time and talent to our fundraiser, and to Little John's Tattoos and Piercing for hosting our fundraiser! Some tattoos from the tattoo fundraiser in spring 2017! Some tattoos from the tattoo fundraiser in June 2017! Tattoos for this fundraiser are by appointment only with artist, Annie Bella! original art designs by Annie Bella. 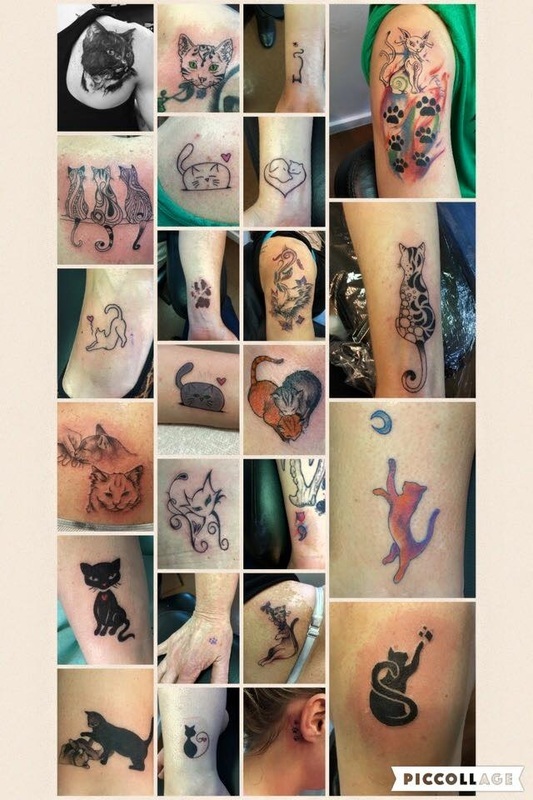 About the artist: Annie Bella enjoys tattooing animal portraits and realism.